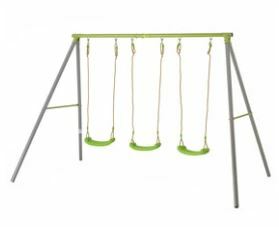 Hello again and welcome to this TP Metal Swing Set Review which will cover 3 separate models so at least you have more than one choice when it comes to making a final decision. 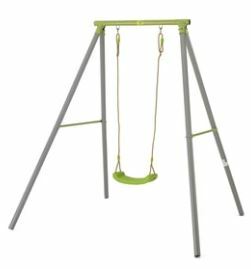 It will also include a series of FAQ that should cover nearly all of the questions that you may have about these Metal Swing sets. The focus of this review will be to outline all the main features that they have to offer plus all the major pros and cons that you need to be aware before you buy. Firstly, please be aware that guide prices can only be outlined at the time of this review as prices can change from week to week or month to month so please make sure to view the price checkers provided below to ensure you have the most accurate up to date price information. This review will outline some additional images to give you a better understanding on the dimensions involved for planning in your garden yard plus a small comparison table for further clarity. 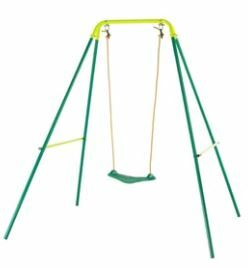 As there are so many metal swings available under the TP brand, we will focus on the TP Metal Early Swing, the TP Metal Single Swing and also the TP Triple Metal Swing set under this particular review. Q. What is the maximum weight capacity for the Early Fun metal swing? Q. What is the maximum weight capacity for the TP Single swing and the TP Triple swing? Q. What age groups is the Early Fun Swing suitable for? Q. What level of warranty is available? Q. Can the TP Quadpod toddler seat be added to the early Fun Swing? Q. Does the Early fun swing include stakes and can they be cemented in for both the high and low options? A. Yes, it includes stakes and can be added to both the higher and lower height options. Q. 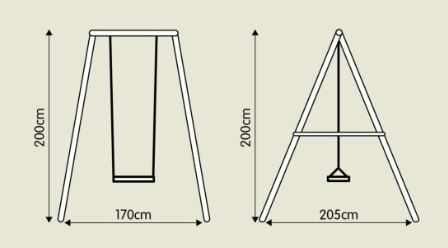 What space is needed for the perimeter of the swings? A. 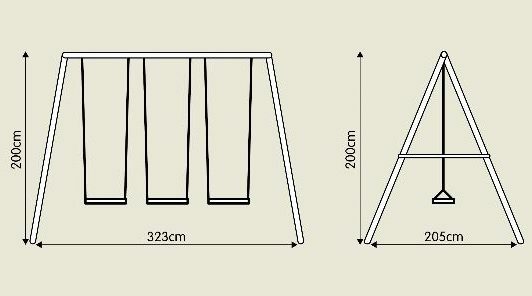 They recommend a 2 metre clearance available around the frame of the swings for safety. Q. Are the deliveries free? A. They are only free if the order value is over £49.99 and it is in the UK mainland. Q. 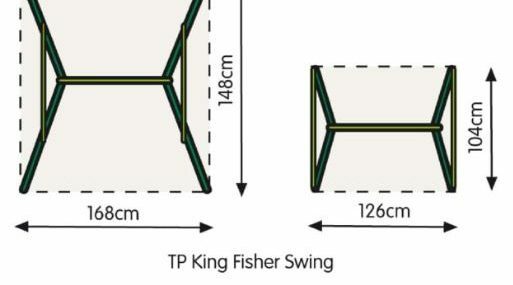 What are the boxed dimensions for the TP Single swing? Q. Can the sky ride and nest swing be added to the triple metal swing frame? Q. Can the swings be paid for monthly? Quick assembly which should take only 30 minutes approx. More space is needed in your back garden plus a 2 metre safety perimeter. Have you or your kids any personal experience with TP Metal Swing Sets in the past? If so, then please share your thoughts and feedback with the wider community by leaving a comment in the comment section below – So that they can learn also!!! 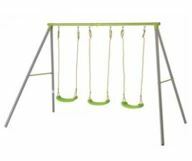 Posted in Swing Set Reviews and tagged TP Double Metal Swing Set, TP Metal Swing reviews, TP Metal Swing Set, TP Metal Swing Set reviews, TP Metal Swing Sets, TP Single Metal Swing Set, TP Swing Sets metal. Swing Set Specialist Copyright 2019.